We are here this. 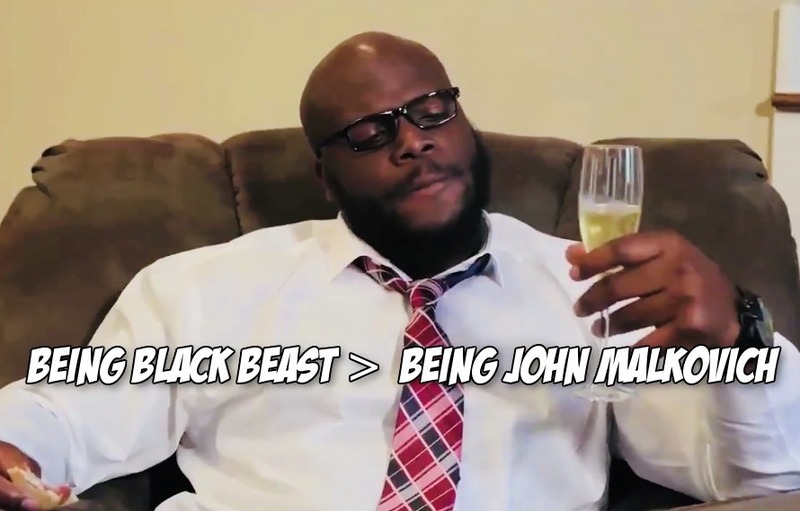 We are officially 100% on board with Derrick Lewis stealing the show at UFC 230. Maybe its just us but, out of context, John Malkovich’s narration for UFC 229 sounds like hot garbage. Perhaps caught up in the whirlwind of Conor vs. Khabib hype gave us rose colored glasses. Last weekend when the cold open for UFC 229 opened dropped everybody fell in love with the tones of John Malkovich. This was the perfect voice for the perfect moment and the perfect fight. Hearing it all again? Perhaps just a bit over dramatic and boarding on nails on a chalkboard. Scratches on a whiteboard? When everyone zigs, we want to zag. It’s in MiddleEasy’s DNA as is fighting. How can John Malkovich and the UFC redeem themselves? Be lazy as hell and just dub the words and audio from his UFC 229 promo over the story of Derrick Lewis vs. Daniel Cormier. This right here? This works. Malkovich acting like DC vs. The Black Beast is some kind of epic Shakespearean tragedy is damn near perfect. Check out the epic tale below. Just keep picturing Malkovich in the recording studio pouring over of hours of footage of Lewis and Cormier. Studying over every minor detail of a beef we didn’t know we wanted until we got it. Reach deep down in your soul John and weave this tale of one Upstanding Dad versus Your Lowkey Horny Uncle. This is the true essence of UFC 230. A pure shitshow of the highest proportions from the UFC and thanks to this very fake promo, we want it more than ever.